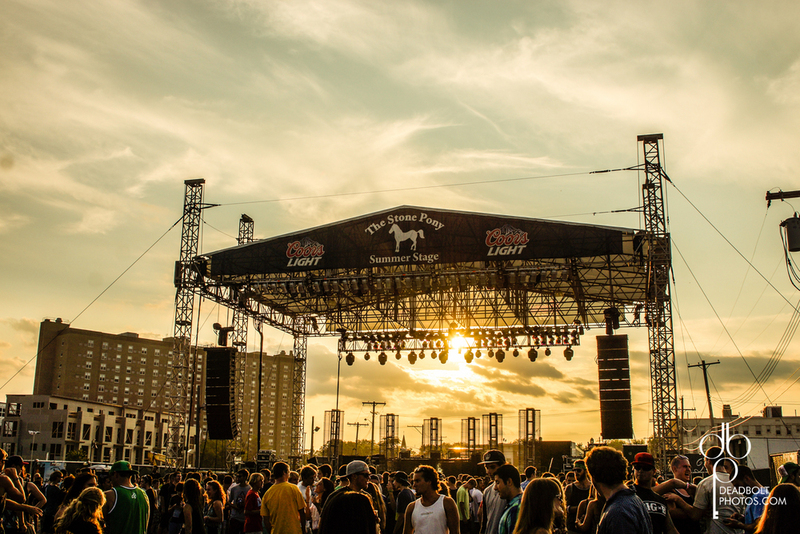 The postponed Slightly Stoopid and Atmosphere Kicking Up Dust tour finally came to the Asbury Park Summer Stage. It was postponed earlier because of bad weather, but on Tuesday Aug 27 everyone gathered for a beautiful night in Asbury. Atmosphere have been around for almost 25 years, and on Tuesday night they proved exactly why they have lasted so long. Slug has enough rhymes and skill to hold anyone's attention, and it is clear he has no intention of slowing down. Slightly Stoopid were up next, and their blend of reggae and rock was a perfect mix for this night on the beach. They brought that laid back California vibe to NJ, and every person in Asbury Park could feel every note. Both bands mentioned that because of the cancellation, Asbury Park ended up being the last night of the tour. And both bands also said they they were excited that it ended where it did. It was a perfect night to a Summer that is winding down.